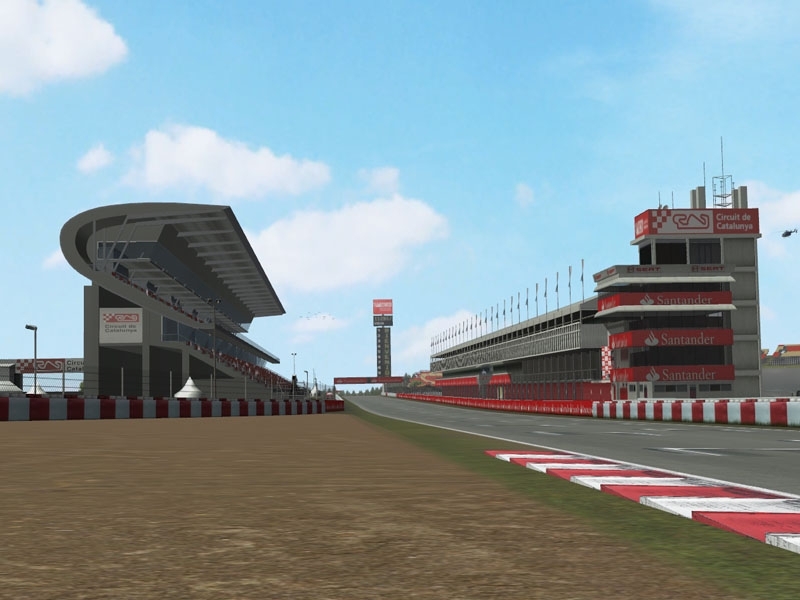 There are currently no setups for FORMULA 1 GRAN PREMIO DE ESPANA SANTANDER 2012 RFE. Add a Setup. I'm having trouble getting the stand alone version running. I followed the instructions, changing the .ini file for track locations, renaming the .plr, and setting the graphics options. When I try running the .bat file or the .exe my wheel twitches and that's it. rFactor never shows up in running processes either. I'm running Win 7 64, Intel C2D E8400 and Radeon 4890, 8 gigs DDR2 ram. Any ideas what I'm doing wrong here? My regular RF install works great on this system so I'm stumped..
Nice track. Some people may need to read the track description though. Made from scratch! it is a deception.